Since ‘INSIDE’ relies so heavily on its story I will avoid any spoilers for the game, as I can promise that this is something you’re going to want to play for yourself. Limbo is undeniably one of the best and most influential indie games ever made. The popularity of the indie scene that is flourishing today is in part thanks to the success of Limbo and its very talented creators at Playdead. With this in mind, I’m not sure creating a follow-up could be any more daunting for the team, but with such a critically and commercially successful debut under their belt, their legacy was bound to continue. Fast forward six years and their newest project INSIDE has been released on PC (Steam) and Xbox One. Unsurprisingly, Playdead has proven yet again, that they are one of the most talented indie studios in the world. 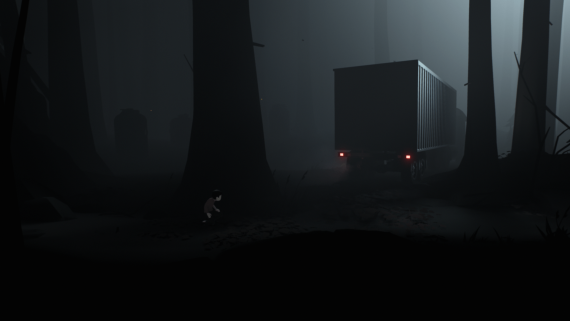 The words ‘bleak’ and ‘hostile’ both aptly describe INSIDE‘s art style. A mostly blue and grey colour palette envelop the world, but faint splashes of colour paint some of the objects in the game. The colours are almost washed out and shadows play a huge role in creating the rich atmosphere. The phrase ‘Every frame is a painting’ could quite easily sum up INSIDE’s visuals. The dozen or so screenshots that I took could quite easily be hung up on my wall. Sound is overlooked all too often in games, but INSIDE‘s sound design is enthralling, immersive and impossible to ignore. Every sound is crisp and purposeful thus making the environments believable and captivating. The music is subtle, but exquisitely matches each and every scenario as it plays out. The sound design really stands out to me as some of the best I’ve found in a game. The world of INSIDE is alluring and mysterious. Your head will be a cloud of questions at all times but the answers won’t be spoon-fed to you. Instead you must search for them yourself. Part of the charm of this game is its unwillingness to tell you anything. There isn’t a tutorial for controls whatsoever, but through clever design the player can instinctively work them out as and when they need them. The controls are intuitive and responsive and are enhanced with buttery smooth fluid animations that make moving through the world a pleasure. I can’t say much about the story for fear of spoiling even a single moment of discovery. However, I will say that some of the moments in this game will leave your jaw on the ground, eyes wide open and your mind longing for answers. Whilst the puzzles aren’t overly complex, they remain consistently entertaining. 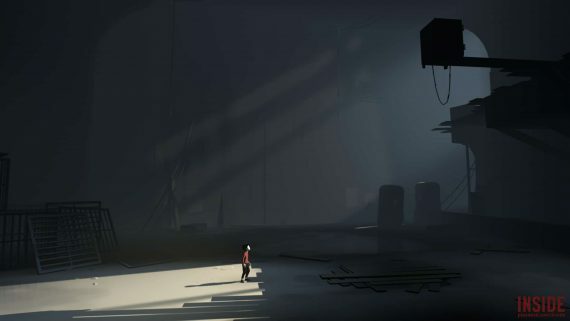 Playdead has a philosophy in their puzzle design that keeps their games feeling fresh with every turn: introduce a cool game mechanic in one puzzle and in the very next introduce an entirely different one. They don’t dwell on any single puzzle mechanic but instead opt for a new experience with every conundrum presented to the player. If there is one point that will divide opinions on this game, it’s the price vs. length. Some people will argue that around 4 hours is simply not long enough for a game costing £14.99. However, I am of the mind that a 4 hour game with no filler makes for a better experience than a 20 hour game with a substantial amount of filler. If you value your time, this should be a non-issue. INSIDE is a surreal game set in a believable world; it’s both beautiful and grotesque; intriguing yet you feel repelled. It’s a game of extremes. A game that somehow manages to master all key aspects of game design. The word ‘Masterpiece’ gets thrown around a lot, but INSIDE is absolutely worthy of that title. This sounds great and, to be honest, the 4 hour play through time is a bonus for me as I never have time to complete epic games anymore.